The popular DASH diet was tested by the National Institutes of Health to lower blood pressure. 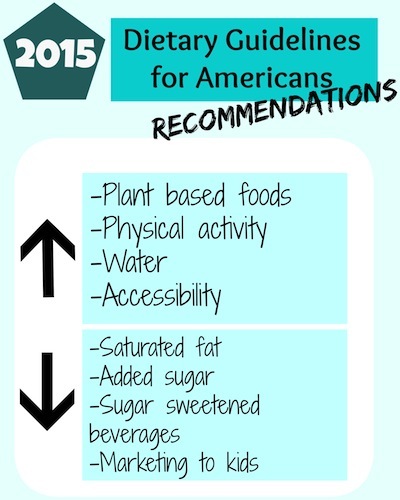 The actual, searchable 2015 Dietary Guidelines favor it too–as a balanced eating plan for everyone over the age of 2. The Guidelines are confusing: they do identify too much sugar as a problem, but mix up food and nutrients. Which is a shame, because people eat food, not nutrients. Unfortunately, senior programs, kids’ school meals, and SNAP benefits are tied to the Guidelines. So to make sense of them, and improve them for you and your family, try DASH, especially if you want to lower blood pressure…but it’s actually the best all around diet. And I’ve got the recipes. What are these compounds? They’re hard to pronounce, but they’re in foods easy to eat. They are strong anti-inflammatories and anti-oxidants. They occur mostly but not solely in plant foods. They are part of a weight loss program, designed for lifestyle change. Try 5 Days of DASH recipes. How much is your vision worth? In U.S. dollars?